The recommended bioaugmentation approach is at the very basis of the purification process, which essentially rests on the natural properties of bacteria responsible for purifying wastewater or breaking down an organic compound. 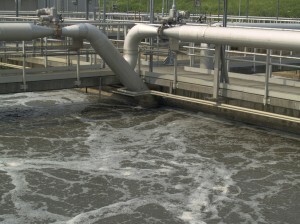 By exploiting their indexed enzymatic capabilities, we can use the beneficial action of natural bacteria at an accelerated rate, which generates highly-interesting operational and economical benefits: reduction of fat and scum at the plant and in the sewer lines, reduction of influent load, faster settling and decantation, reduction and elimination of odors, reduction of amount of flocculant, improvement of plant efficiency, nitrification, etc. The nutritional ration of industrial wastewater (C:N:P) can vary greatly, and should be respected as much as possible to gain maximum efficiency from bacterial bioaugmentation. Better still: high-end, high-performance Bio-STAR products contain several bacterial strains, which naturally possess the genetic and selectively adapted characteristics needed to break down a multitude of organic chemical compounds.